Welcome to Millie's Sandwiches, hope you're hungry! 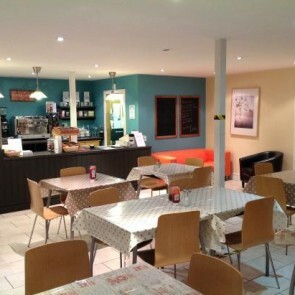 Enjoy a drink or a bite to eat in our 40 seater café. Catch up with friends, colleagues or simply the latest tabloid news. 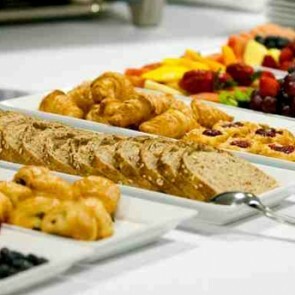 We have a range of catering options to meet your needs and budget. From meetings to parties to large corporate events. Deliveries is where Millie's started, its part of our DNA. Our vans cover wellingborough and the surrounding areas. At Millie’s we have breakfast, lunch and sometimes dinner on the menu – giving you plenty of choice. Whether you want to eat in, and risk hearing the team singing, or take away back to the comforts of your own space, the choice is yours. “I guess I’d fall into the category of being a regular at Millie’s. The staff are always welcoming and the menu is very extensive and well priced. I’ve been visiting a few times a week for a couple of years and never had a complaint. They’re always happy to accommodate requests for something not on the menu. I’d highly recommend Millie’s for breakfast and lunch, no point in standing outside in the cold when waiting for lunch, just relax on their sofa.